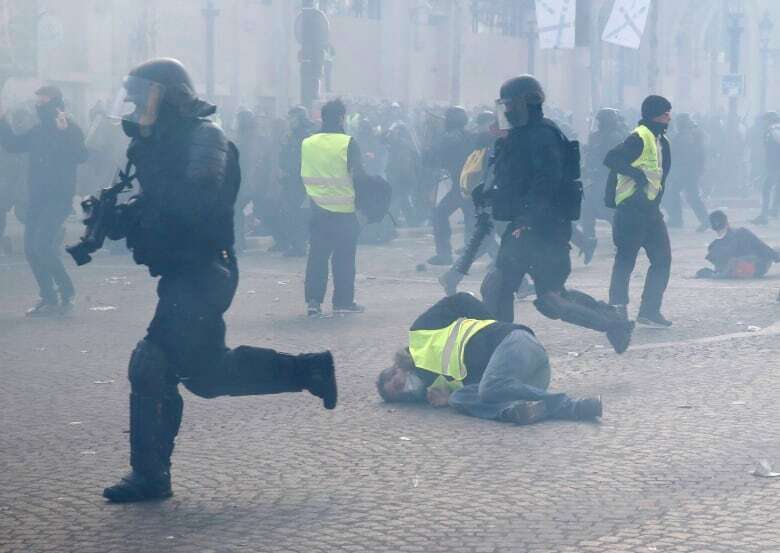 French yellow-vest protesters set fires, smashed up luxury stores in Paris and clashed with police Saturday in the 18th straight weekend of demonstrations against President Emmanuel Macron. Large plumes of smoke rose above the rioting on Paris’ landmark Champs-Élysées avenue, and a mother and her child were just barely saved from a building blaze. One arson fire targeted a bank near the Champs-Élysées on the ground floor of a seven-story residential building. A mother and her child had to be rescued just as the fire threatened to engulf their floor, Paris’ fire service told The Associated Press. Eleven people in the building, including two firefighters, sustained light injuries. “We’re marking the end of the great debate … Macron has given us no great solutions,” said protester Francine Sevigny from Lyon. 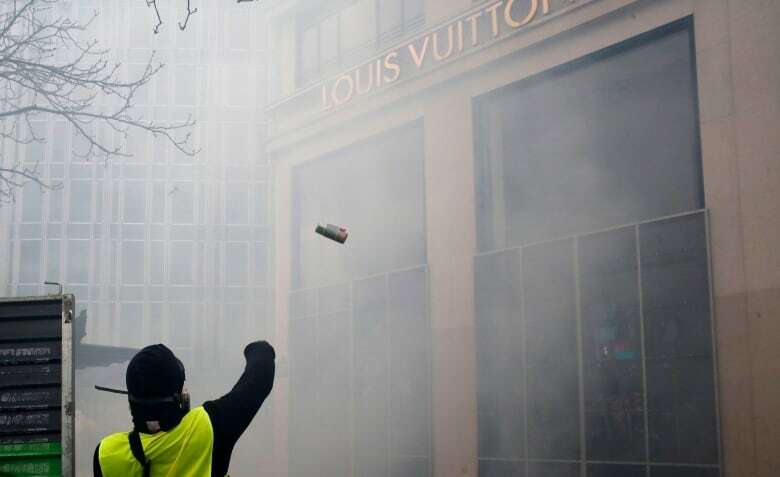 Demonstrators also targeted symbols of the luxury industry, smashing and pillaging shops including brands Hugo Boss and Lacoste, and tossing mannequins out of broken windows. A posh eatery called Fouquet’s, which is associated with politicians and celebrities, was vandalized and set on fire. 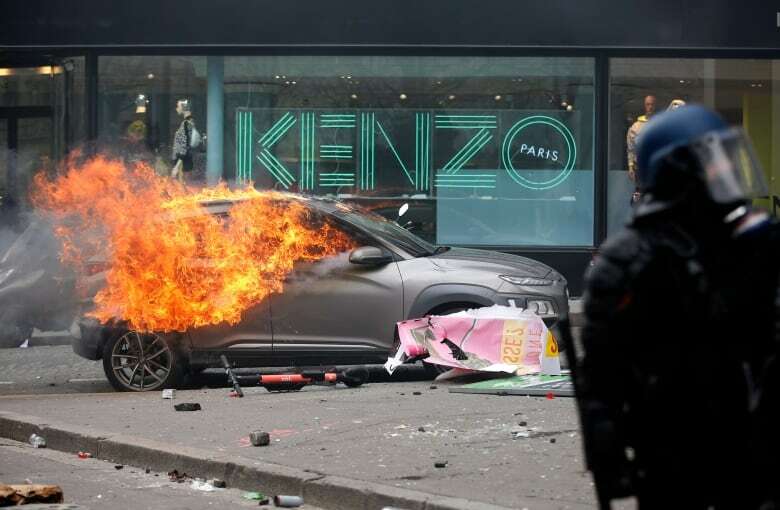 A vehicle burned outside the luxury boutique Kenzo, one of many blazes on and around the Champs-Élysées.